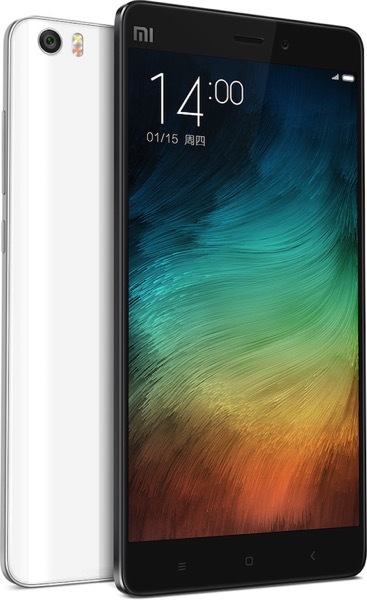 The third biggest smartphone maker and most valuable startup, China’s Xiaomi, today challenged Apple’s iPhone 6 Plus by launching Mi Note, their high-end phablet. 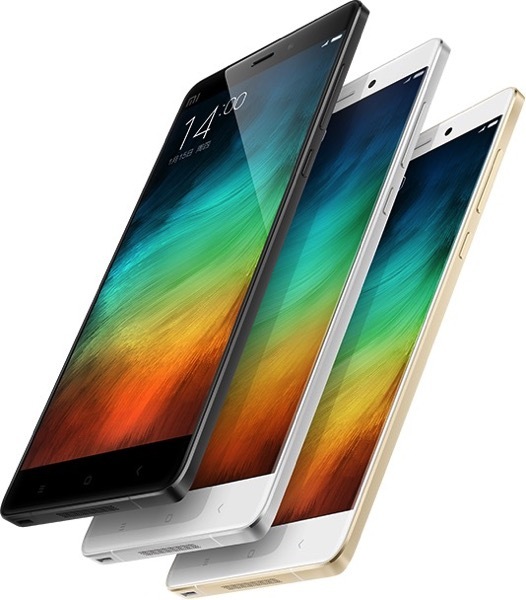 As the media reports, during the Xiaomi event journalists and bloggers have heard the “Apple” or “iPhone” keyword plenty of times, especially when emphasizing the latest Xiaomi smartphone’s features (via Fortune). 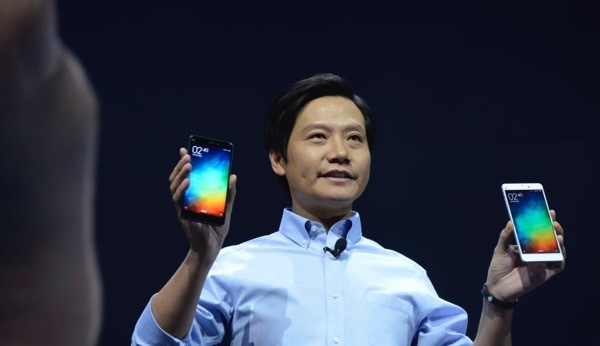 “The Mi Note is shorter, thinner and lighter than the iPhone,” Lei told his audience of thousands gathered in the north of China’s capital. 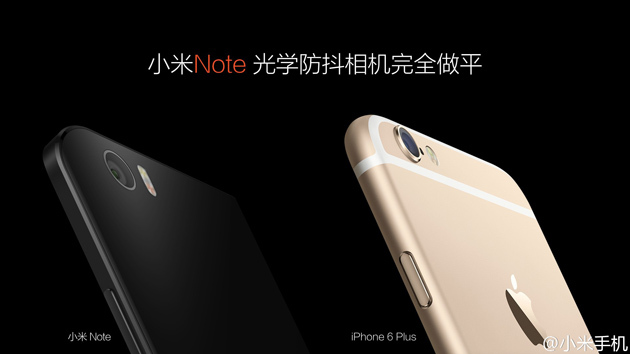 In terms of tech specs, the Mi Note is 6.95 mm thick, 161 grams heavy; it is wrapped in Gorilla Glass on both the front and back. The basic model, which launches on January 27, packs a 1080p (386ppi) NEGA LCD screen, while the “Pro” model (launching in March) has a 2,560 x 1,440 pixel (515 ppi) display. 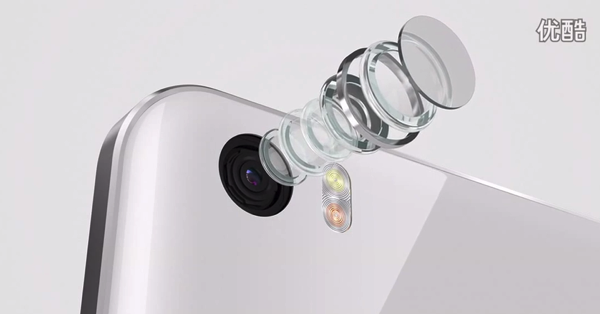 It has a 13MP rear and 4MP front-facing camera, and is powered by a 2.5GHz quad-core Snapdragon 801 chip, Adreno 330 graphics processor, 3GB LPDDR3 RAM, 3,000mAh battery. Xiaomi-branded home appliances are also part of his strategy: in essence Lei plans to create an ecosystem like Apple did. Anyways, Lei plans to show the world that Xiaomi is ready to put its creative team at work (not copy — notice that pill-shaped flash: Does it remind you of the iPhone 5S flash?). Meanwhile, the commercial they posted seems to remind many of commercials by… (Clue: it’s named after a popular fruit).